Get your vehicle winter-ready at Magowan Tyres. Carry an ice scraper and washer fluid effective to -40oC. Keep your fuel tank at least half full. Plan your trip, locate your stops and check the weather. Use your judgement too – delaying your trip may be the best option. Have emergency supplies with you – a charged cell phone (or 12V phone charger cable), non-perishable food, water, flashlight, blanket and warm clothes. Many winter collisions occur because drivers are going too fast for road conditions. Slow down and allow extra space between you and other vehicles. Focus on your driving and put away cell phones and other distractions. Look for reflections on the road – what looks like water may actually be ice. Avoid crowding into the lane of on-coming traffic – this can result in head-on collisions. Drive slowly near working gritters and don’t pass them – it’s dangerous. Be patient and give them room. They will pull off once they reach the end of their route. Do not drive on closed roads, there is probably a good reason why they are closed plus it’s against the law. Always obey emergency closure signs and follow the directions of police officers. 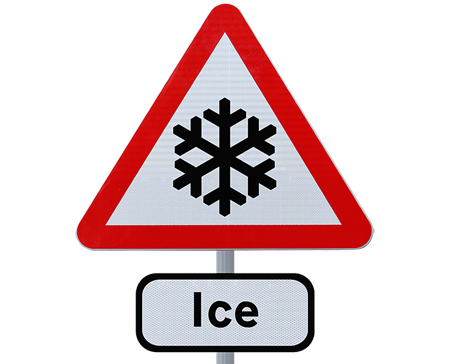 Remember – the roads are closed for your safety!